After nearly 20 years of living here we have finally discovered that the Casale woods contain white truffles. 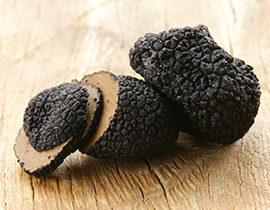 It is not really surprising that it has taken us so long, since the truffles are found in a corner of the forest which is almost unreachable. 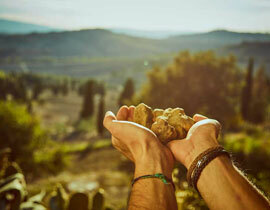 Our friend Giancarlo, who is a professional truffle seeker, made us aware of their existence, and since then we look after that area very carefully. The poplar trees which grow there are very important because their roots encourage the production of the white truffle.